A Letter to Mr. President “Obama” Islam or Atheism? Your letter in Cairo University to the Islamic world since more than one year was so impressive. We feel the full truth in your words. You told in your letter you came to Cairo to seek a new beginning between the United States and Muslims around the world as we share common values of justice and progress; tolerance and the dignity of all human beings. The sources of such values are our religious beliefs and our perfect trust in the same God. “…and you will find the nearest in love to the believers (Muslims) those who say: "We are Christians." That is because amongst them are priests and monks, and they are not proud. And when they (the Christians) listen to what has been sent down to the Messenger (Quran), you see their eyes overflowing with tears because of the truth they have recognized. They say: "Our Lord! We believe; so write us down among the witnesses. ” [5: 82, 83]. I know you are a religious Christian who has Islamic roots and bears a high respect to all religions. However, I am writing this letter to express our worry, as Muslims, for results of a Gallup’s statistic in USA. The results show the Americans who did not identify with a religion was 6% in 1998. Such number rose to 10% by 2002. This year's average indicates 16% of Americans has no religious identity. Such results mean that the religions may be vanished in USA during the two coming decades. Hence; USA may become an Atheistic country that violates your lovely written faith on every American dollar “In God We Trust”. Simply; USA may face the same end of the old communist countries which failed due to the absence of the high religious values. As USA is a great power that influences the whole world; its direction to Atheism may guide also the whole world to the same valueless end. The whole world is directed now to a globalization that lacks religious values. Such nonreligious globalization had led to the former economic crisis and corruptions; such crisis may be repeated many times in the near future. The only way to save the world is to have common religious values that should be stemmed from a strong faith in our God. Our God, as Muslims and Christians, forbids the injustice and orders the fairness in all aspects of our life. His obedience surely will lead to the searched transparency and to a fair global economy. “The belief in the Oneness of God began at a very early stage in history, and in fact it preceded the belief in trinity by many decades. Christianity was developed from the same origin as Judaism, and Judaism firmly believes that there is one God. In the history of Christianity; Arius was a true follower of Jesus in his call to the pure Oneness of God. So; Arianism with its fundamental Trinitarian controversy must not be looked upon as an isolated theory by its follower Arius. Its appeal, which began in Alexandria and spread through the whole Empire, must be seen in the context of the times. According to Will Durant: When Christianity conquered Rome, the new religion (i.e., Christianity) was infused with the blood of the old idolatrous religion: the title of archbishop, worship for the great mother, and an innumerable number of lords who gave peace of mind and were like who exist in all places and cannot be detected with the senses. All of this came into Christianity as the blood of the mother comes into her child. So, if the invasion of the Christian belief through the Romans succeeded in drifting the original Christianity into the polytheistic ideas; it should not lead us to the prevailing atheism. Reviewing the Islamic History; we find that the first front that protected the initial followers of Mohammad was a Christian king in Ethiopia. Similarly; the Christians who lived in the Arabic lands defended in the side of the Muslims against the Pharisee and the Roman armies who tried to quit Islam. They cooperated in building the promised kingdom of God on the earth that called for the pure Oneness of God. The God’s Islamic kingdom covered miraculously the whole earth in fifty years after Mohamed’s mission and inspired the high religious values in the whole earth by the Divine Faith in One God. Such kingdom gave the birth of the Islamic Golden Age or the Islamic Renaissance that started at the 8th century and has been extended to at least the 17th century. Such renaissance acted the bridge between the European dark ages and the modern civilization and paved the way for the European Renaissance and the nowadays global civilization. So, civilizations do not clash but rather cross-breed and succeed. They complement each other, succeed and continue, for they are the synthesis of God’s Justice and Guidance, human intellect and man’s creativity. The destiny of civilizations has not been throughout history one of conflicts and clashes. Rather, it has been, in essence and origin, one of competitions. It has always been sustainably moving in the direction leading towards the prosperity of life through the accumulation of civilization’s productions in various fields. It is towards causing the ascension of man, whom God has assigned the task of developing and civilizing the human’s life not towards corruptions by conflicts. During the period of the Islamic Renaissance; artists, engineers, scholars, poets, philosophers, geographers and traders in the Islamic world contributed to agriculture, the arts, economics, industry, law, literature, navigation, philosophy, sciences, sociology, and technology, both by preserving earlier traditions and by adding inventions and innovations of their own. Muslim scientists, artists, philosophers, technologists and laborers together made a unique culture that has directly and indirectly influenced societies on every continent and saved Europe and the whole world from its Dark Ages which was ended by Islamic attitudes towards learning, sciences and balanced human progress. However, such civilization which was sparked by Islamic values is threatened now by the absence of such attitudes and values. The Quran offers the Evidence of God’s existence based on scientific signs. 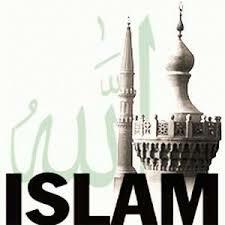 Islam is a complete and comprehensive way of life founded on Divine guidance and a miraculous book, the Quran. A French scientist, Maurice Bucaille examined the Holy Scriptures in the light of modern knowledge. He acknowledged that Quran does not contain a single statement that was assailable from modern scientific point of view. On the contrary; it offers scientific signals that are just discovered during the last century. A man who submitted such miraculous book, Quran, cannot be a liar. According to a scientific analysis which is done by the Christian Professor “Michael Heart”, Mohamed was classified as the greatest of the greatest hundred in the history. He found Mohamed as the greatest social reformer, diplomat, merchant, philosopher, orator, legislator, and military leader in the history. He was the human model of Islam whose teachings are simple, intelligible and free from any illogic dogma or doctrine. The oneness of God, the truth of the Quran, the prophet-hood of Muhammad, Jesus and Moses and the concept of life after death are the basic articles of its faith. You surely believe in God who created such intelligently designed universe, keeps it in such perfect and unique order, inspired the life in such uniquely integrated ecosystems and keeps its sustainability. Oneness of God; without any partners or son, is the logical core of the Islamic belief and all the monotheistic beliefs. You know too the optimum human life is designed to follow religious beliefs that keep its prosperity. Any wise person cannot accept to be just a slave of his animal’s desires that will soon come to an end or of some wealth that he will soon leave behind in this transient world? Man has a spirit that will never be at peace unless he is in contact with God. He has a conscience that cannot thrive except in the light of God. He has a soul that can never be at ease and feel the relief of its worries unless it is in contact with God, remembering Him, speaking to Him, praying and fasting for His sake, putting its trust in Him and repenting to Him. Keeping this common word of Faith in one God through scientific evidence that respect the human logic is the only way to get to common global ethics of Justice and mutual mercy in obedience of the Creator of our universe and our life. In His search for global values; Tony Blaire stressed the values of the Quran. He wrote: To me, the most remarkable thing about the Quran is how progressive it is. I write with great humility as a member of another faith. As an outsider, the Quran strikes me as a reforming book, trying to return Judaism and Christianity to their origins, much as reformers attempted to do with the Christian church centuries later. The Quran is inclusive. It extols science and knowledge and abhors superstition. It is practical and far ahead of its time in attitudes toward marriage, women, and governance. God selected you to be on the top of the most powerful country. You are a man who knows the truth of Islam, as it is your father’s religion, and knows the truth of Christianity, as it is your mother’s religion. So, please try to start a new world age by gathering all of us to a common word: Faith in One God without any illogical dogmas. The wasted Atheism should not be the direct substitute of the introduced confusions in Christianity. But Islam that calls to the same principles of the true Christianity can be. Islam is a complete system that encompasses the relationship of his adherents to God, to each other and to our society from birth until death. It is a religion that was sent in the light of the history to the whole mankind, sustained by an everlasting miracle, Quran. It gives the Heaven’s logic and sustained answers to all man’s questions, over the past and the coming, regarding the Life, the Death, the Day of Resurrection, the Good, the Evil, the Creator, the Creation, and all other ambiguous secrets in the universe. Looking at the main concepts of Islam, it can form a concrete religious-base for the world development towards a fair globalization. Such religious globalization can save the world once more from the trending looseness, corruptions and violence as it saved the world in the past from the previous Dark Age. Can we cooperate to do that? It is the only one way to save USA and the whole world from their conversion to Atheism; i.e. from a valueless end and corruptions. I hope also to cooperate in stopping iniquity between followers of Abraham’s Grand Sons; Moses, Jesus and Mohamed in Jerusalem? You were able to be the first non-white American president in U.S.A. So, you also can be the first American president who unites the world to a common world; Faith of our real God.